Libra is the sign of the Scales and the dates when the Sun is in Libra are from September 23rd to October 23rd. A Libran key phrase is “I can relate to that” and many strong Libran types will pepper their sentences with that one. The ruling planet is Venus the brightest body in the sky after the Sun and Moon. Libra is of the air element and means you are intellectual and a thinker, of the cardinal mode suggesting leadership qualities and in the positive polarity showing that many Librans are extroverts and go-getters. Libra loves equality especially in partnerships. You are persuasive and will encourage others to see your point of view. You are balanced and will compromise on occasion. You generally have good manners and are civil, polite and courteous. This is an elegant person with style. You are brilliant negotiators and will step in to mediate and take on a peacekeeping role. You love companionship and enjoy being with one special person. The sign of the Scales rules balance, symmetry and things on the level. You can commit and are focused on your significant other’s needs. The Sun is in the sign of Cancer from June 21st to July 23th. The symbol is the Crab and their key phrase is “I feel…” which is often their sentence opener. Cancer is the second cardinal sign which means you are leaders and Cancerians will often lead from behind. You are in the water element which indicates that much intuition is used and you are fluid and in the passive polarity suggesting a reticence for aggression and a more receptive approach to life. The ruling planet is the Moon which is not really a planet at all but the natural satellite of the Earth. The Moon goes through phases and this is a typical attribute for Cancerians. he ecliptic. Uranus has a ring system. Uranus is the “God of the Sky.” Uranus was the father of Cronus (Saturn) and the grandfather of Zeus (Jupiter). New Age: Astrology, astrology students, astrology practitioners, astrology groups, and awakening. Broken: Breaks, breakdowns, breakups, breakouts, and breakthroughs. Original: Genius, original thoughts, lateral thinking, and concepts. Oddness: Quirky, unusual, unique and the unexpected. Hooligan: Rebels, riots, mobs, revolution, resistance, and agitation. Trends: Fashion, fads, and freaks. In the body (Body Parts): Circulation, the ankles, and brain synapses. Astrological forecasting is a popular use for astrology and many people come to astrology exactly for the predictions you can get. But not all forecasting techniques are created equal. Some are easy to understand and some are more complex. Forecasting is in two broad sectors, the direct forecasting methods and the indirect forecasting techniques. Direct forecasting techniques use the current positions of the planets in the sky as we speak. You need an ephemeris for transit work. Solar returns and Saturn returns etc. The indirect forecasting techniques are often those that equate one day’s planetary movement to one year of life. They are also known as symbolic forecasting techniques. It is common to learn transits first. Many astrologers only use transits as they are easier to learn. Every Sun sign horoscope column relies on transits only and this makes transits the most popular forecasting method in any astrologer’s repertoire. If you work on several charts and need to do the forecasting then if you know that Uranus will change signs into Taurus in May 2018 it will do so for everyone. Once you know a transit movement you can use that knowledge for every single chart you every look at. This makes transits the go to astrological forecasting technique. Everyone needs to know transits. The second most popular forecasting technique is conveniently called secondary progressions. In this case, the movement of a planet for each day of life from birth is symbolised as the corresponding yearly movement. If you are thirty-three then you will cast a secondary progressed chart for the thirty-third day after your birthday and use the planet’s positions that day to cast the secondary progressed chart. Each person’s secondary progressed chart is different. No two are the same unless you were born at the same time, date and place. This means it is more work for the astrologer because it is almost as another chart to read. Professional astrologers will probably use secondary progressions for your full forecasting picture. In a solar return chart you cast a chart each year for the exact time the Sun returns to its natal position. If your birth Sun is at 15 degrees 45 minutes of Virgo then each year when the Sun returns to the precise position you cast another chart. Each year you will have a new solar return chart. People with the same birth date (but not the same year) will have similar solar return charts but not exactly the same. So, everyone born on September 15th will have the Moon here and Venus there in their solar return chart but the ascendant will be different. This makes solar return charts popular as they are based on the transits of the day and astrologers know where the Sun and Moon are and the other planets. The graphic ephemeris is a special diagram that has to be read by the astrologer and it typically shows the superior planets and their cycles over a year or two. See image. This is probably the most useful tool I personally use in my astrological forecasting. Solar and lunar eclipses are transits and are special due to the close alignment of the Sun, Moon and the Earth on the eclipse day. In solar arc directed charts you take the progressed movement of the Sun (as found in the secondary progressed chart) and add the longitudinal measurement to all the planets positions at birth. From this you will create a new chart called the solar arc directed chart. From this you will create a new chart called the solar arc directed chart. If your natal sun is at 15 Virgo and you are 33 years old you add 33 to 15 Virgo and the result is 18 Libra. This is the position of your solar arc directed Sun. You do the same for the other planets. Add the Sun’s movement to every planet in your chart and find the new placement which will be 33 degrees further in the zodiac. In a solar arc directed chart the aspects between the planets remain the same but the planets change house and sign. The solar arc directed chart changes slightly every day as you get older. How much you have to learn about astrological forecasting depends on who you are now and who you want to be later. There are 5 levels of astrologer and you can see where you fit in. If you are simply trying to learn some more about astrology to make your life easier and more understandable then stick to transits. If you are a student astrologer and plan to be a professional astrologer one day then learn transits first and the work down the list, (secondary progressions, solar returns, solar arc directions, eclipses and other). To be a professional astrologer you really do need to know at least four forecasting techniques. They will compliment each other and underline the trends in the clients forecasting picture. If you are a member of the public and you are looking for a professional consulting astrologer then do yourself a favour and find one who does advanced forecasting techniques. Ask your prospective astrologer, “Which forecasting techniques will you use when you do my predictions?” and see what their answer is. If they only use transits be wary as they may not be fully trained in the more complicated astrological forecasting techniques. This may imply they do not have a broad astrological education. If you have got this far then you will likely want to grow your astrological forecasting techniques and begin to understand the differences in each one. To be a better astrologer you need to know these things. Forecasting often separates the “men from the boys” in the astrology world. Oh, The Charts You Will Read! As you start to get into astrology and read horoscopes there is a natural sequence to charts that you will read. Some of you who begin with astrology may stop sooner than others who may go on to be competent astrologers. Several of you will go on to be aspiring astrologers and competent astrologers and be able to provide an acceptable solid reading. You may read for friends and family or in a casual way. A few of you will become experts and exceptional chart readers and can read any and every chart that comes your way. You are likely to attract clients at this stage. Chart number 1: Your own chart. You will always start with your own chart and certainly, this chart will be with you through your astrology journey. You will read it in a simple way and then develop your interpretations into more complex methods in the future. You will work on this chart for the rest of your life. This includes your husband, wife, kids, parents and siblings etc. They are people you know very well and have known for many years. Now you can benefit from some basic chart reading skills. Charts numbered 11-18: Charts of people who you do know. These are the charts of friends and people you know well enough to ask for their chart details, “so you can practice.” You will do these charts for free and enjoy the time spent pouring over each unique chart. You will tentatively explain that you are opening an astrology business and although you are still a junior astrologer, you wish to read their charts in a professional manner to practice your readings and your professional practice competency. You are aware of how your outer planet signature attracts clients. You will charge them a moderate fee of around US$5-10 or barter for a cup of coffee. These charts are for your gateway clients and they get you into being a professional astrologer. There may be more charts in this group but if you are determined that astrology is for you then you will only need about six practice runs and these are the charts you will use. At this point you are an amateur astrologer and may consider seven days to a better chart reading. You are now in business. You charge a fair fee for your services. You may be interested in 10 things to do before your client arrives. At this point you are a junior professional astrologer. At this point you are a professional astrologer. You know how to give an astrological referral. You can run a prosperous astrology business and you know how to work with clients. 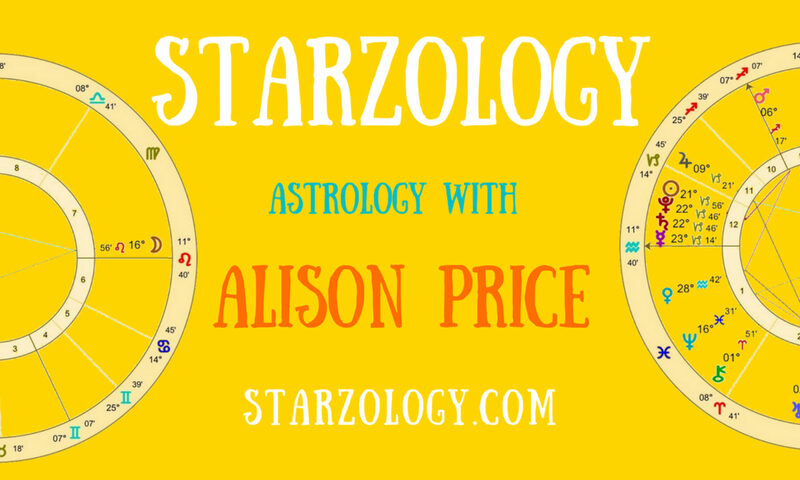 The process of becoming an astrologer is not one straight line from start to finish. Each person will make detours and have stops and starts along the way. To see where you are exactly on your journey towards becoming an astrologer the five levels of astrologer are explained in more detail. You can see that you could be straddling two areas at once. if you want to travel far take a friend. Think about how many charts you have read. Consider where you are on your journey to becoming a fabulous astrologer. Making astrology trading cards is a creative way to do arty things and learn some astrology as well. Anyone who is interested to explore astrology in a fun way will enjoy crafting and trading with their Astrology Trading Cards. Other ways of getting arty with astrology are through my astrology Wheel of Fortune. Astrology trading cards are a twist on the famous artists trading card when an artist would do a large painting and then make several tiny copies on these cards to give to prospective buyers, galleries and other artists in an effort to promote their craft. The cards would be swopped between others. You don’t sell them but you give one and they give you one back. Each card is 64mm x 89mm or 2.5″ by 3.5″ which is a standard card size. At a group meeting each person will be given a blank copy of the trading card template. You can download a PDF copy below. The leader, or moderator will offer you a hat, or jar, with pieces of paper containing one word indicating an astrology feature or theme. You take one piece of paper and the word printed on it is your theme for the day. The pieces of paper will have either one planet, house, sign or aspect as your theme for you to work on. These are the starter words and are used in the groups I guide. When I have a more advanced gathering or class I can have more advanced themes like; anticia, moiety, contra-parallel or transits. Say you get “Jupiter” as your astrology theme. You write your own name in the by line on the back. You will write the word “Jupiter” in the top block on each card on your sheet of six cards. You do this on every trading card on the page so in the end you have six Jupiter named cards with your name as your by line. You draw the glyph and write keywords or draw images of what this theme means for each card. You can make each card the same or each one different. It does not matter how you embellish your cards but what is important is that you make something nice because you will be trading them with the other people at the end. When you have finished you will have six detailed and coloured Jupiter trading cards. When you are happy with your designs and have completed the cards you cut them out. You may keep one for yourself if you like otherwise you will trade these cards with the other people who have various themes and will have made different cards. That day you will go home with six original works of art signed by people you know and they will all be special and unique. If you meet again the next week you can redo the hat/jar theme pull with the remaining theme prompts and over time you will grow a beautiful Astrology Trading Card collection that spans all the planets, houses, aspects and signs. That is at least a total of about forty handy dandy astrology trading cards. You may decide to make more cards you can buy actual cards in better quality cardstock and thicker thicknesses (available at Michael’s craft store) to make better cards. As the interest in making these little cards grabs you, you can develop your style and the way you present your astrology through cards. Every astrologer is different and each one will work with the energy of astrology in their own way. When you finish a card take a photo and put it on Instagram or other social media with the hashtag #astrologytradingcard and we will love to see your work. This can be used as a learning resource for beginners and seasoned astrologers as well. In reality, the artists write their name and the title of the piece they have created on the back. You can get creative here as well. This is also a place to put your website and contact details. More advanced astrologers who get into Astrology Trading Cards collection will make individual cards to trade with other astrologers. Follow me on Instagram for more updates or direct message (DM) so we can get started if you are in Vancouver. I am up for a trade as soon as you are. I will be in Calgary in September 2017 and at NORWAC in March 2018 and I will have some of my Astrology Trading Cards to trade with you. Will I see you there next time? I hope so. I happy to say my latest eBook 31 Days to a Better Chart Reading is available now through Amazon and can be read on your Kindle, iPad or iPhone and of course your computer. This is a guide for anyone who wants to read a chart and needs to get going fast. Each day you can learn a new feature about chart reading and get better quickly. Stop fiddling about on inconsequential details and get to the meat as soon as possible. This book is the culmination and distillation of all my other works combined. But it contains fresh content and will appeal to a broader audience. Each day there is stuff to learn and tips and tricks when reading a chart with that day’s featured part. Aspiring Astrology Activities each day for your own astrology journal. Got questions then please contact me below. In this informal setting and with other astrologers I shall contribute the sections on the planets and the aspects as part of this small group. If you think you need to know some more astrology come along and see what it is all about. You get answers to your astrology questions. This evening is for beginners and those with a little astrology knowledge. The signs of the zodiac. The planets and their meaning in your chart. The aspects or connections between the planets and what each one means. I will be discussing my general classes and will explain about my personal astrological coaching and mentoring program. Bring your chart if you have one. Join us for a casual dinner beforehand from 5pm at Stefano’s Restaurant.